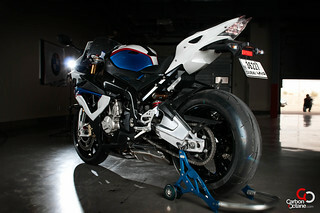 As recently as 2008, the words “BMW” and “sportsbike” were as mutually exclusive as the proverbial chalk and cheese. Yes the Germans did try convincing us they could make sportsbikes by parading their K1200 and K1300 versions, but the motorcycling public quickly saw through these attempts for what they were – bulky but powerful hyper-sport bikes lacking the purity of purpose demanded on a track. The jewel like HP2 was a better statement of intent but the boxer lump that it carried could not, despite much tweaking, take the fight to the liter bikes that it was meant to compete with. Realizing that being different would only take them longer to get to the checkered flag, BMW decided to beat the omni-potent Japs at their own game by developing the S1000RR. Their test mules were based on the 2005-06 Suzuki GSXR1000 : an iconic motorcycle which remains a benchmark in the liter class to this day. 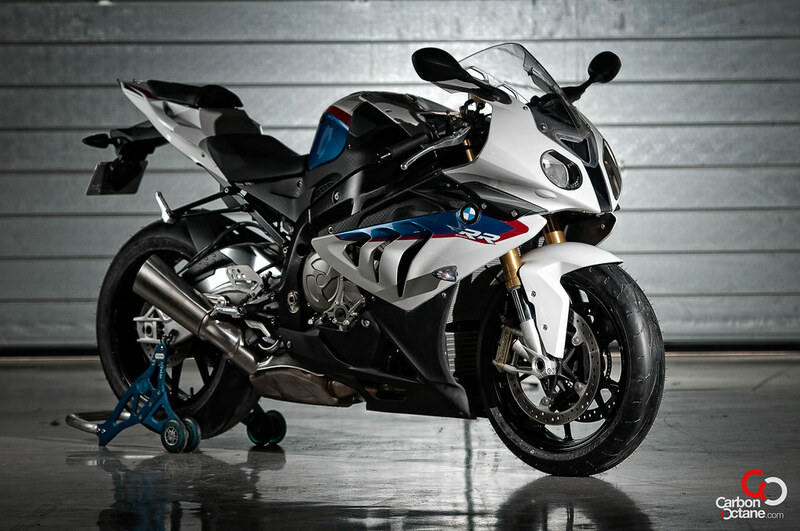 When launched in 2009, the S1000RR took the biking world by storm. Here was a machine far removed from the company’s previous products, a bike that stood slugging toe to toe with the competition and left most of them with a bloodied nose. The Germans had done what no one could have predicted before – beaten the Japs at their own game and forced them to scurry back to the drawing board. Getting the bike right first time around must have been a priority with BMW as they roped in Troy Corser very early into the S1000 development programme. A highly acclaimed development rider in his own right, Troy Corser was an obvious choice considering his last Superbike championship was won in 2005 on a Suzuki GSXR 1000.No surprise then that every journalist who has sampled BMW’s liter bike find handling similarities to that exemplary Japanese machine. The SBK development continues for its third year now with British rider Leon Haslam and Italian MotoGp refugee Marco Melandri leading the charge on the race track. With podium finishes being notched up in the initial season, 2012 sees the bike posing a serious challenge with Melandri already leading 1-2 finish at Donington this year. It would have been a 1-2 double if not for a last lap, last corner mishap in Race 2 which robbed both riders of podium places. 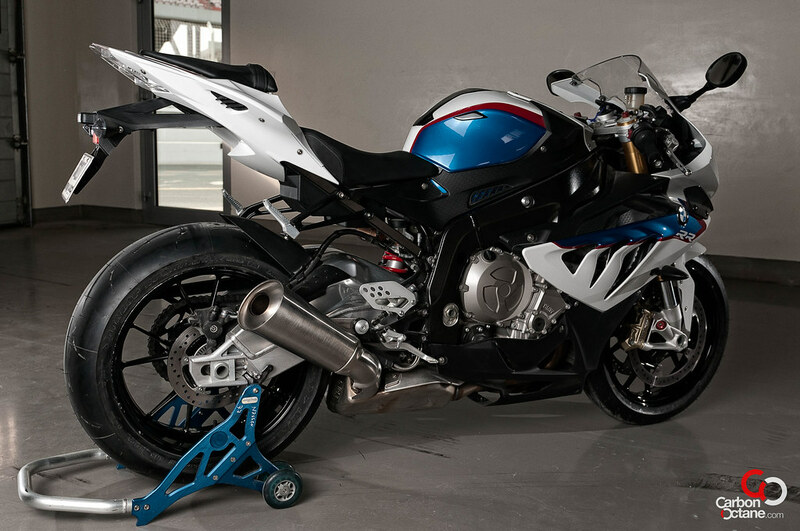 BMW are definitely on the right path with the S1000RR. 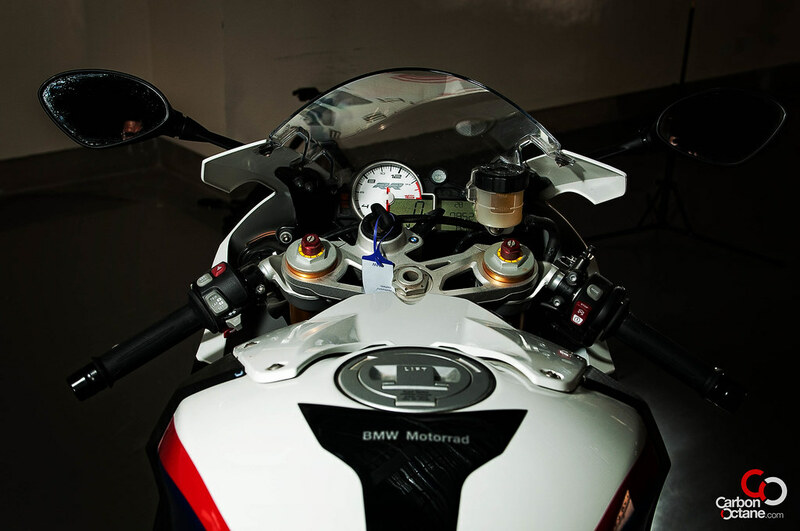 At first sight, the BMW S1000rr evokes mixed reactions. The shark fins on the flank seem a bit contrived and a very late ‘80s style design attempt at conveying performance potential. But this is nothing compared to the completely quirky headlight treatment. I can only assume that the design team was led by two distinctly strong design influences, both refusing to give in right until the first mold had to be cast. As a result, you would be forgiven for thinking you were looking at different variants of the same bike when viewed from either side. But then you look at the rest of BMW’s line up and realize that this Yin-Yang treatment has been adopted and actively promoted as BMW’s design philosophy, possibly in an attempt to stand out. Love it or hate it, the asymmetrical headlight treatment readily identifies the BMW bike range long before the blue and white badge pops into view. 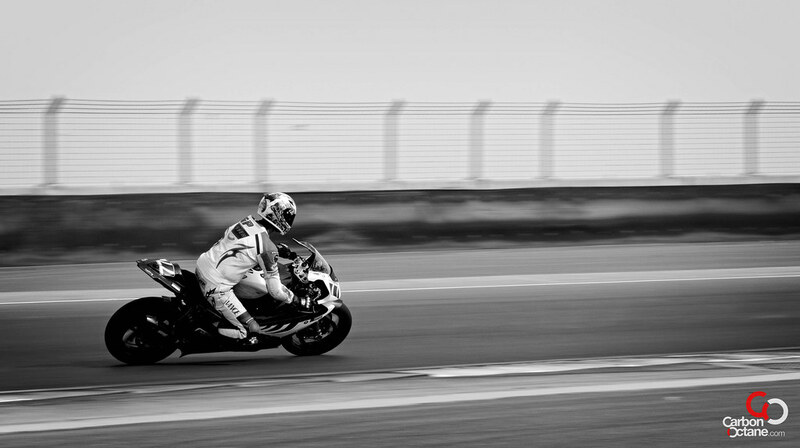 Going round corners is what the S1000RR does best. Not surprisingly for a bike that was designed with an eye on wresting the world SBK cup from the likes of Ducati, the S1000 pampers the track addict. 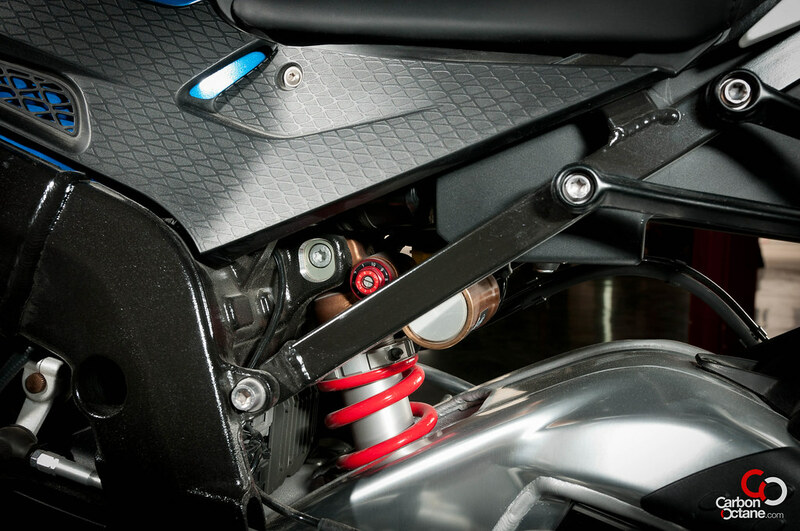 Fully adjustable suspension front and rear with a stout 46mm inverted fork up front, coupled with a gas charged shock absorbers at the rear are designed to build confidence in any rider who has a penchant for entering corners with one knee scraping the tarmac. The relative lack of mass with a claimed curb weight of 450lbs should also help to flick the bike from side to side when the chicane looms up a few seconds earlier than expected. Brakes are 320mm twin disc radially mounted Brembos at the front, the de rigueur choice for any superbike with serious aspirations – while a single 220mm takes up duty at the rear wheel. Tires are 120/70 and 190/55 17 inches which again seem to fit in with current superbike chassis engineering for all manufacturers. No surprises there, then. What is surprising is that barely 3 years after launch, and with no manufacturer seeming to have made serious inroads into the S1000’s performance advantage, BMW have seen fit to go in for a revamp. While the engine remains untouched, BMW have focused on improving accessibility to all that power by re-mapping the four settings that make the bike ride-able by lesser talent. Race/Sport/Rain and Slick modes, offered to aid traction and performance have all been worked over to offer a less intrusive electronic assistance – which was one of the only minor jibes that had smirched the previous edition’s glow. The ABS and Dynamic Traction Control were reworked to further improve braking and performance. 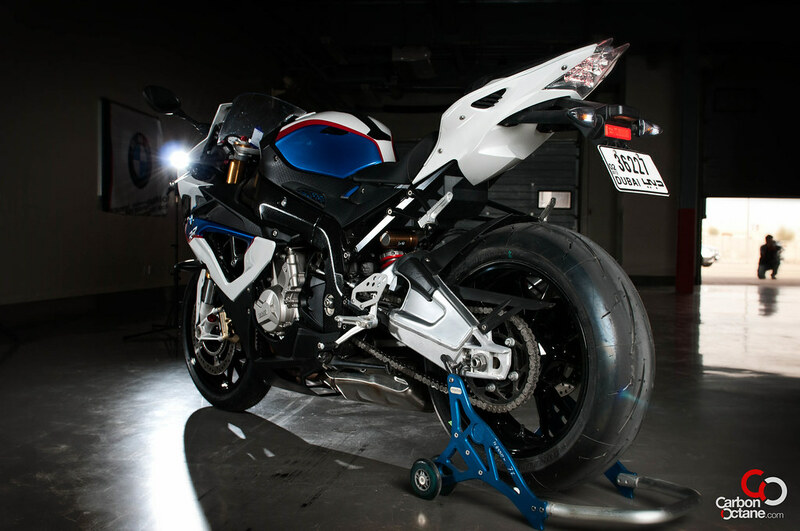 Chassis geometry has been tweaked to improve steering accuracy and enhance that elusive factor all sportbike manufacturers aim to harness – feedback! A 10 way adjustable steering damper was also thrown into the mix for good measure.